Cloves are a treasure than often we took for granted. They are small but packed with big flavour. Many of Indonesian dishes use cloves as the key spice. The sweet and earthy aroma from a pot of Mom’s Semur Daging (Indonesian Beef Stew) often drives us crazy. The pleasant-smelling gravy of Bistik Lidah is what most Javanese people miss from their mother’s cooking. That is the work of cloves. Those foods are incomplete without this spice. Besides its function as aromatic agent in the food, cloves are the main ingredients of Indonesian kretek cigarettes. On late 19th century, kretek cigarettes even marketed as medicinal products. Although the nicotine and tar amount in the cigarettes is high, the clove is believed to cure asthma and chest pain. 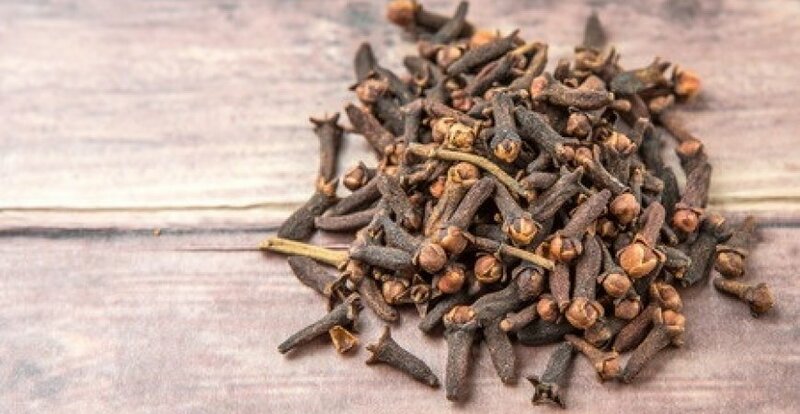 Cloves, along with nutmeg, cinnamon, and pepper, are what the spice world called “The Big Four”. Cloves are native plants of Mollucas, Indonesia. This is the oldest kind of spices that ever be traded. The evidence is a jar full of cloves in Syria, dated back to 1721 B.C. The oldest manuscript mentioning cloves is a Han dynasty manuscript dated back to 207 B.C. The 427-years-dynasty has a tradition requiring holding cloves in the mouth when talking to the king. Apparently, the king fancied the smell of this dried flower buds. Back in that time, cloves are the main commodity in Moluccas. They grow abundantly in this island as the culture encouraged mothers to plant a clove tree whenever a baby was born. The history of spice is not the brightest history in Indonesia. So does the clove. Chinese trader was believed to be the first foreigner to visit Moluccas to buy cloves. They use it as medicines and breathe freshener. Soon after the Chinese, Arab traders reached the Moluccas to buy cloves and other spices. The Arab traders were the one to introduce European to the Moluccas commodity at the fourth century. Arabians were the one to control cloves and other spices. They did in for long years after Portuguese monopolized spice market for over 100 years. History said that Ferdinand Magellan, who sails around the world from Spain, reached Tidore, Moluccas and bought tons of cloves. Although Magellan died in Philippines, the remaining crew made it to Spain with all cloves. Cloves were very precious, gross profit margins for those who brought it to Europe can reach 2000%. It even covered all the expedition cost. Cloves were premium commodities in Europe. Not only as seasoning, but also used to preserve meat as European has to deal with strong season that did not let them to do the hunting. The rich land of Moluccas was very tempting that even Portuguese and Spain teamed up in order to monopolize spice market. They brought Ternate Kingdom and Tidore Kingdom of Moluccas into conflict but did not make it. They were expelled from the islands. It was Dutch who finally monopolize the clove trade in Moluccas. The native were suffered as not only they were colonized, Dutch also kill the culture of clove planting after a child was born. No clove tree allowed to grow in Moluccas except they allowed it in order to keep the price high. On the other side, spice shipping routes were more established. Monopoly never last forever. In 19th century, a French mission managed to smuggle seeds to Zanzibar and Tanzania. The world production was rising and the demand was falling. Nonetheless, Indonesia is still the largest clove producer. 90% of the total productions are used for kretek cigarettes manufacturers. Tags: cloves, spice, indonesian spice.